A section of the Department of Homeland Security (DHS) 2007 Appropriations Act, HR 5441, formally includes Amateur Radio operators as a part of the emergency communications community. Congress approved the measure and President George W. Bush signed the bill into law October 4, 2006. The bill became Public Law 109–295. Amateur Radio is included within the legislation's Subtitle D, Section 671, known as the "21st Century Emergency Communications Act." Radio amateurs are among the entities with which a Regional Emergency Communications Coordination Working Group (RECC Working Group) must coordinate its activities. 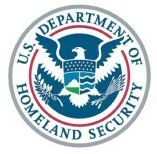 Included within the DHS's Office of Emergency Communications -- which the measure also creates -- RECC Working Groups attached to each regional DHS office will advise federal and state homeland security officials. The final version of the legislation incorporated language from both House and Senate bills and was hammered out in a conference committee. An earlier version of the 21st Century Emergency Communications Act, HR 5852, included Amateur Radio operators as members of the RECC Working Groups. In addition to Amateur Radio operators, RECC Working Groups also will coordinate with communications equipment manufacturers and vendors -- including broadband data service providers, local exchange carriers, local broadcast media, wireless carriers, satellite communications services, cable operators, hospitals, public utility services, emergency evacuation transit services, ambulance services, and representatives from other private sector entities and nongovernmental organizations. The RECC Working Groups will assess the survivability, sustainability and interoperability of local emergency communication systems to meet the goals of the National Emergency Communications Report. That report would recommend how the US could "accelerate the deployment of interoperable emergency communications nationwide." They also will coordinate the establishment of "effective multi-jurisdictional, multi-agency emergency communications networks" that could be brought into play in an emergency or disaster.